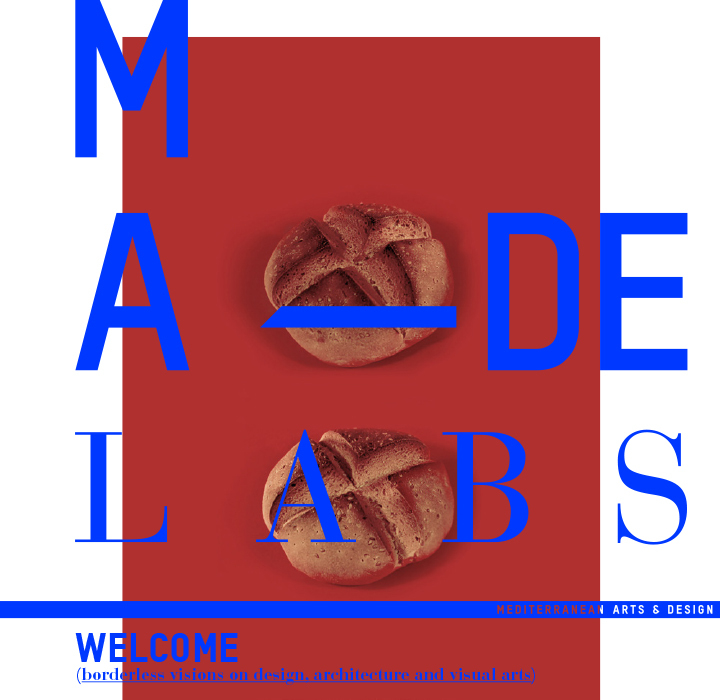 MADE LABS is the new educational initiative conceived by MADE Program (www.madeprogram.it), the brand new project of the “Rosario Gagliardi” Academy of Fine Arts, Syracuse (Sicily). This third edition of MADE LABS, curated by Studio Formafantasma and Moncada Rangel Architects, includes ten days of 5-day workshops and lectures, led by world-renowned creative Professionals and addressed to designers, architects and artists who are curious about new developments in their fields. Some workshops and lectures will take place in other venues in the city. MADE LABS is open to students as well as professionals worldwide. Participants who require a visa for Italy are responsible for obtaining this visa in time. Participants should bring their own lap-top computers. WLAN is freely available. Please ensure that all your equipment is covered by your insurance. Made Labs are conceived as "high-intensity" labs. A unique formula that combines workshops and lectures under the guidance of important personalities in the world of design and architecture. During the eight days of workshops and lectures, Made Labs will gather in one place prominent designers, architects and artists, coming from all over the world. Made Labs will take place in the unique city of Syracuse, Sicily. Specifically in the ancient heart of the town, the island of Ortigia, a location where the remains of ancient history are the backdrop for daily life. According to MADE Program philosophy, we have done our best to make a top-level educational experience affordable and accessible to as many people as possibile. Upon successful completion of each workshop (35 hours of classes), MADE Program will issue 3 ECTS credits that can be transferred at the option of each student’s home University. In 1971 Victor Papanek published his seminal text "Design for the Real World". The book thoughtfully examines the necessity of addressing 'real human needs' as opposed to the 'invented needs' created by the market. Papanek clearly exemplified how design can be incorporated into many areas of life and how it can be a tool to fight social injustice. In the era of Trump's wall, Brexit, and waves of backward-looking populism, Papanek’s conception of design as socially inclusive and welcoming of multidisciplinary contributions is as relevant as ever. In our unstable, soul-searching, confused Europe, constantly questioning the essence of its shared culture within the expanse of its territory and its ethnic diversity, climate change and diminishing biodiversity are still open to multiple contributions, and interdisciplinary exchange is simply a necessity. Indeed, the preservation of diversity goes well beyond the recognition of its beauty. Rather, it is urgent that we ensure the emergence of intelligent design proposals. As normalization and cultural standardization persist in their attack on the rich diversity of vitality, for the 2019 edition of Made Labs, the city of Syracuse will welcome a group of designers, architects and artists who, each in their own way, celebrate inclusivity as an essential element of design. MADE Labs will be hosted in the main building of the Academy, a XIX century building, as well as other venues in the heart of the island of Ortigia, the historic center of Siracusa, Sicily. clic here to apply now. Italian article focused on alternative holidays. We really love our partners. Particular thanks goes to those who made this initiative possible. you'll receive an automated email for payment details and further instructions. MADE LABS aims to make high quality, international training programs accessible to a large number of people. That's why we do our best to keep fees as low as we can and why we offer discounted rates to students. The application form is temporarily under maintenance, please try later at around 9 PM Italian time. Be careful: write your mail well otherwise you will not be able to follow the next steps. A fallback contact if there are any problems with the email. Remember to specify international prefix (i.e. +39 for Italy). Choose if natural persons or legal persons. The inclusion of VAT number (italian: Partita IVA) is not mandatory. Please specify the address for the invoice header and your tax identification number. a diploma for each attending student (upon successful completion of each workshop, MADE Program will issue 3 ECTS credits that can be transferred at the option of each student’s home university).